Dean M. Atkinson is a Partner in the accounting and litigation services firm of White, Zuckerman, Warsavsky, Luna & Hunt, LLP. He has testified as an expert witness in commercial litigation and family law matters and has been involved in resolution and settlement negotiations. His experience in business litigation matters include, business valuation, bankruptcy, damages involving unfair competition, patent infringement, lost profits, lost goodwill and lost earnings. He is also well versed in family law issues such as business valuation, child and spousal support, tracing and reimbursements. Mr. Atkinson was Founding Partner of the accounting firm Atkinson & Rawls, specializing in small business needs for accounting, tax and computer systems. Previously, he was a senior audit and tax accountant with Benson Wells & Co. in Denver, Colorado. 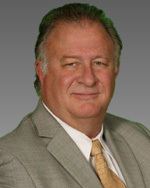 Mr. Atkinson has been a licensed Certified Public Accountant since August 1982. He is a member of the American Institute of Certified Public Accountants and the California Society of Certified Public Accountants. He holds the AICPA’s ABV designation (Accredited in Business Valuation), the AICPA’s CFF designation (Certified Financial Forensic), the Association of Certified Fraud Examiners’ CFE designation (Certified Fraud Examiner) and the CAC designation (Compensation Analyst Credential). He has passed all four exams in business valuation toward becoming an Accredited Senior Appraiser of the American Society of Appraisers. He obtained a Bachelor of Science Degree, graduating with honors, in Accounting and Business Administration from Bryan College in Dayton, Tennessee. He has conducted numerous continuing education classes on “The Use of Computer Software in Litigation Accounting Applications” and implemented computerized litigation software and systems. He spoke at the 1994, 1995, 1996 and 1997 California State Bar Annual Meetings before the California Young Lawyers Association on the topic of computerized software and client trust accounting.